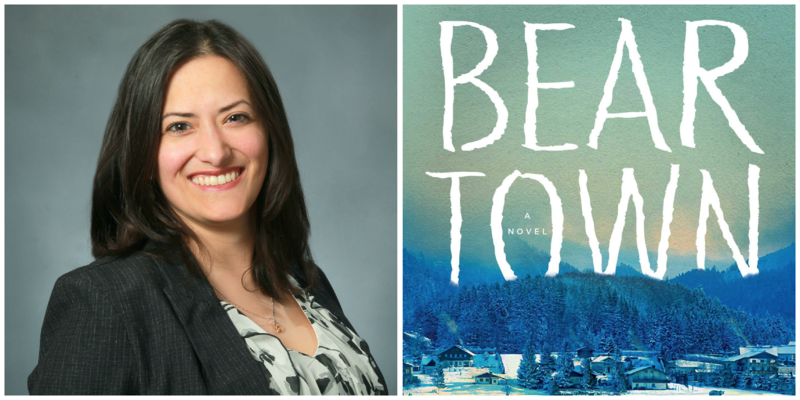 Adison Godfrey reviews "Beartown" by Fredrik Backman. Beartown is a small town in the woods that has been in a gradual decline. Businesses are moving to the more prosperous town outside of Beartown limits; the factory, which supplies most of Beartown’s jobs, is laying off more and more people. But there’s hope. The junior ice hockey team has a chance of winning the national semifinals. If they go on to win the finals, the town could be revitalized: the council would build a new hockey school in Beartown, and with it would come a shopping center, better infrastructure and much-needed jobs. Beartown would become a destination, rather than a place you pass through on your way to somewhere better. This feeling of invincibility incites a violent act at a team party later that night. A 15-year-old girl leaves the party in tears. Kevin is bleeding from scratch marks on his hand, and the next day his neck “is red and blue on one side, as if he’s been punched hard by someone with small hands.” Amat is the only one who saw what happened—he barged in during the attack. The girl comes forward the day of the finals, and police pull Kevin off the team bus for questioning. He isn’t able to play in a game that is more than just a game for Beartown. The town is outraged. The girl is ostracized. Everyone sees her family as having had an agenda in coming forward when they did. To me, this sounds eerily like what is going on in the wake of the Ford and Kavanaugh hearings. Now, more than ever, “Beartown” feels timely.